Lift your organization from the top with a powerful new leadership approach. The Power of Positive Leadership is your personal coach for becoming the leader your people deserve. Storyteller Jon Gordon crafts the fables that inspire great leadership: The Energy Bus, The No Complaining Rule, Training Camp, and others have helped hundreds of thousands of people around the world achieve their true leadership potential. In this book, he gathers the insights from all of his bestselling fables to bring you the definitive guide to positive leadership. Great leaders understand that people drive the numbers, not the other way around; to win, you must win with people—and this book shows you how. It all begins with your decision to become a positive leader, and the understanding that leadership is not just about what you can do, but what you can inspire, encourage, and empower others to do. You'll learn to bring out the best in each of your employees by sharing the best within you; instead of running over people to achieve your goals, invite them on board—together, you can achieve more than you ever thought possible. Difficult times call for leaders who are up for the challenge. 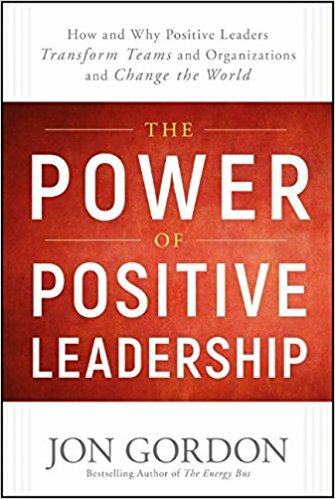 Results are the byproduct of your culture, teamwork, vision, talent, innovation, execution, and commitment; this book shows you how to bring it all together to become a powerfully positive leader.